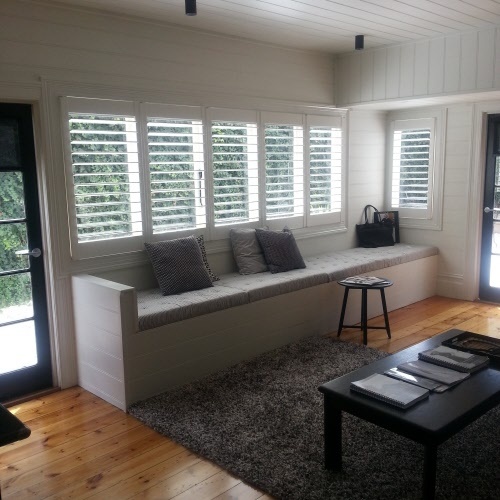 The shutters and blinds and the window seat. So thrilled with the finishing touches on the Showroom, now ready for the next PREORDER - Paula Ryan and Visage. The great shaggy rug in white/grey/black, shiplap boarding all painted a fresh white. The barn door, the black paned doors with black blinds and some industrial lighting.Just as I had imagined it.